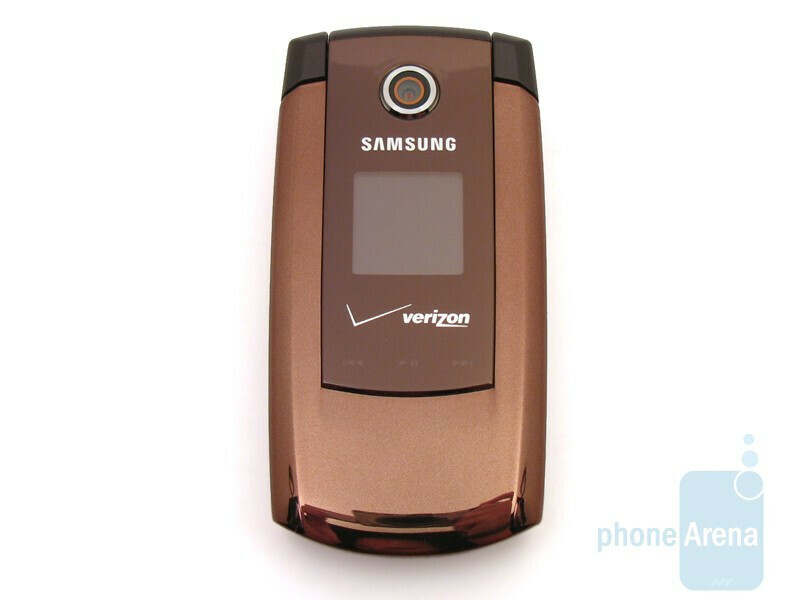 The Samsung Renown U810 for Verizon Wireless is designed for the individual who requires a device capable of international roaming (CDMA/GSM), but who doesn’t need a Smartphone, such as the Saga. 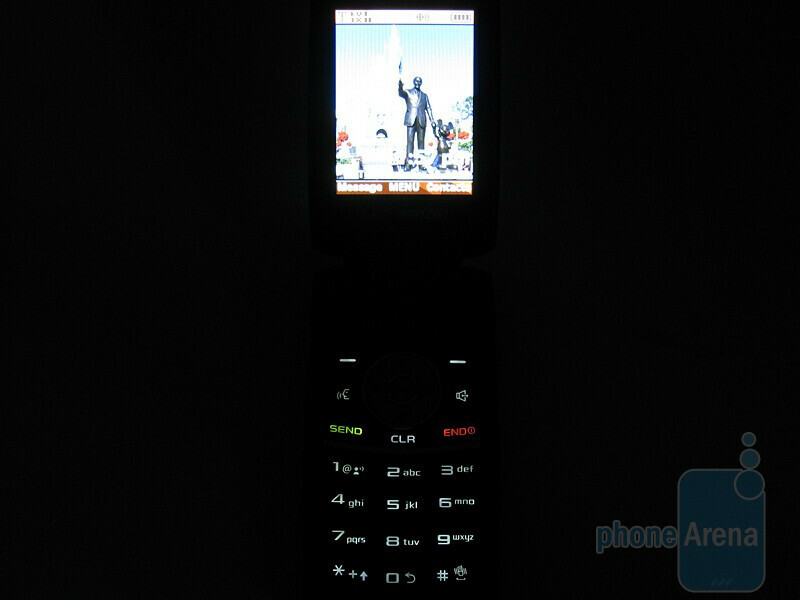 Its main competition comes from the Motorola Z6c, which has similar features, but in a slider form factor. 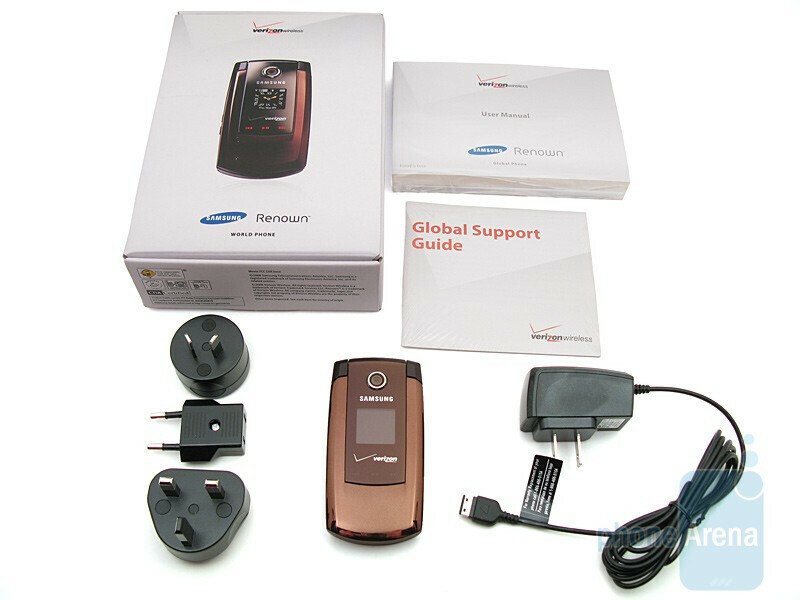 The retail package includes the Samsung Renown phone, 800 mAh battery with cover, wall charger with 3 adapters (UK, European, Australian), SIM card, and user manual. The exterior styling of the Renown is similar to the Gleam, except that a dark cappuccino color is used. Even though it is constructed out of plastic, it feels fairly durable and should hold up to normal every day use. Since it is also about the same size of Gleam, it can easily fit into your pant’s pocket without being too noticeable. 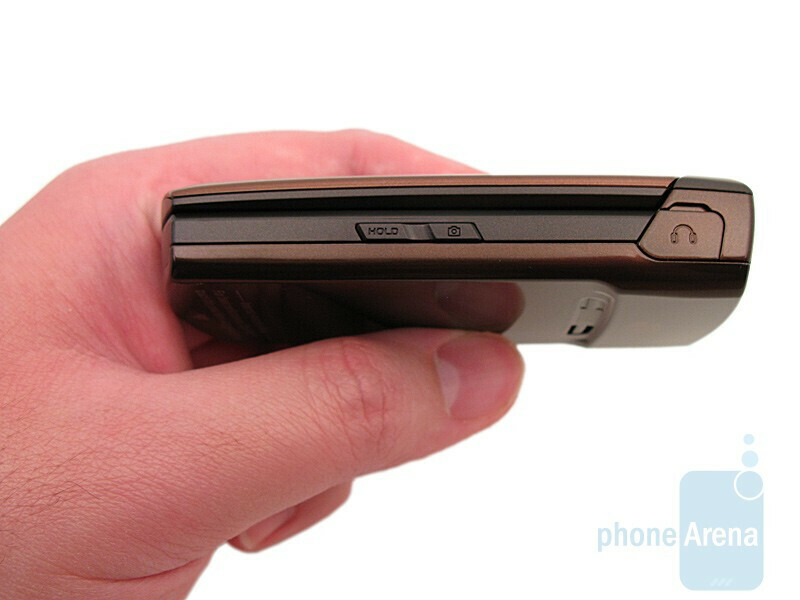 The hinge is designed well, and has a fluid movement when opening and closing. 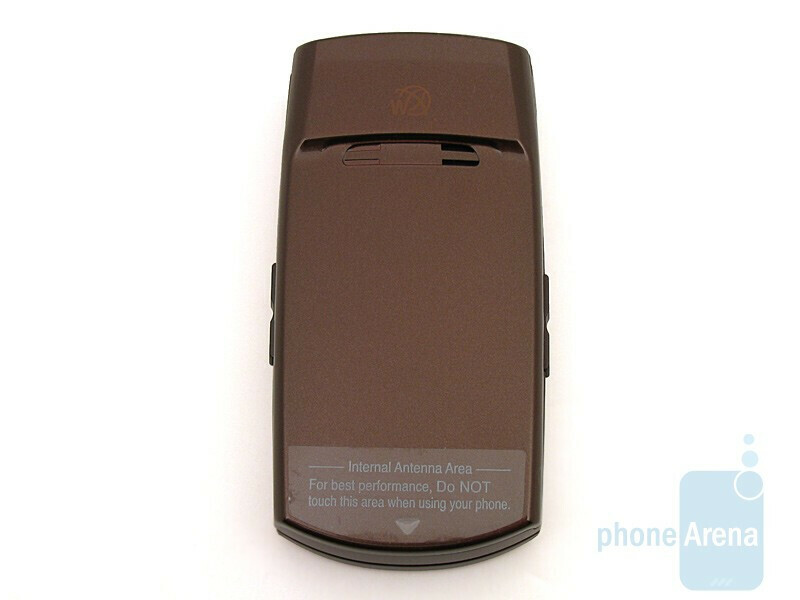 Located on the front is the standard 2MP camera, external display, and touch-sensitive music control buttons. 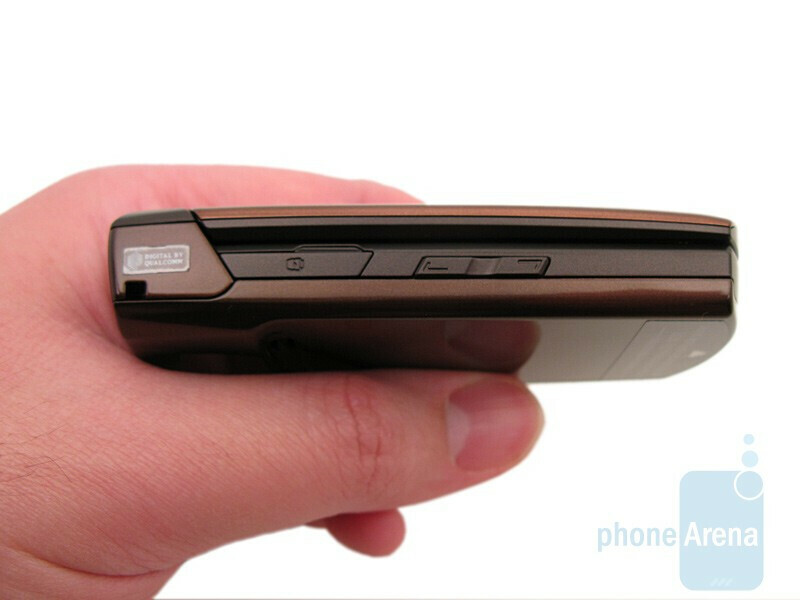 On the left side is the volume rocker and charger port, and on the right is the 2.5mm headset jack, camera button, and hold button (used to lock the external music control). The battery cover has to be removed to gain access to the SIM slot and microSDHC memory card slot, which supports up to 8GB cards. You can compare the Samsung Renown with many other phones using our Size Visualization Tool. The external display is the same 1” diagonal 96x96 pixel resolution we saw on the Gleam and U550, but the color depth has been increased to 262K, not that it matters on a screen this small. It should come as no surprise that the internal display is also similar, measuring 2.1” diagonal and with a resolution of 320x240 pixels and 262K color support. Images are shown with good color detail and saturation. There are six levels of brightness settings available, but even at the highest setting it difficult to view while in direct sunlight. 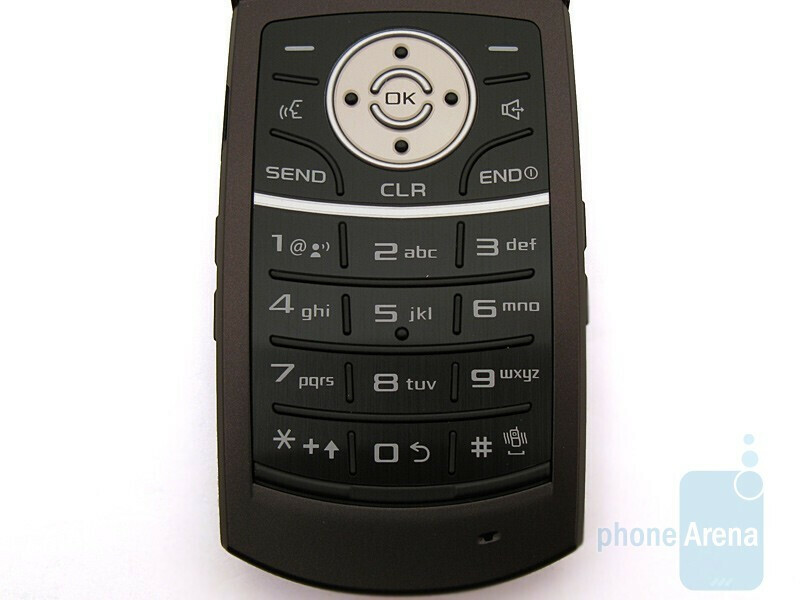 Located on the bottom flip is the white backlit keypad, which is easily viewable against the surrounding black plastic. 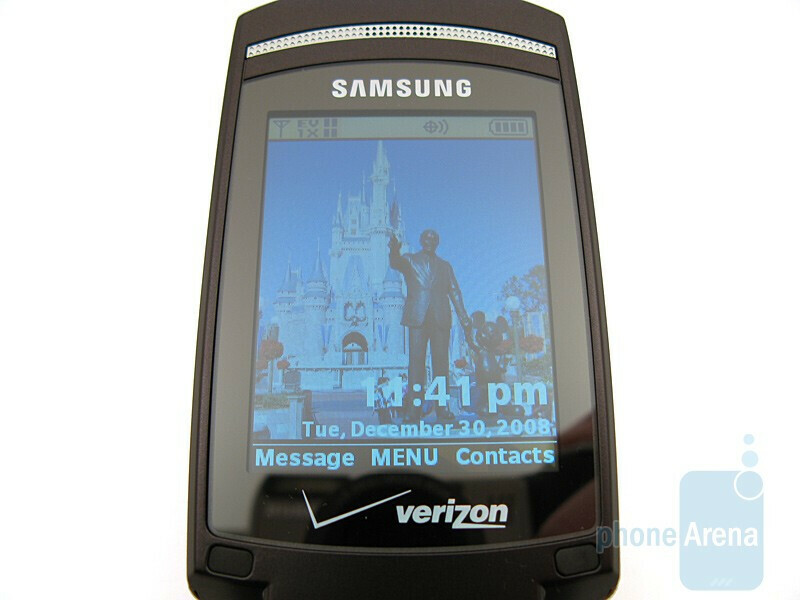 At the top is the D-pad used for menu navigation, but we felt it was too small, and often times we would accidentally press the center OK button instead of the top or bottom button. 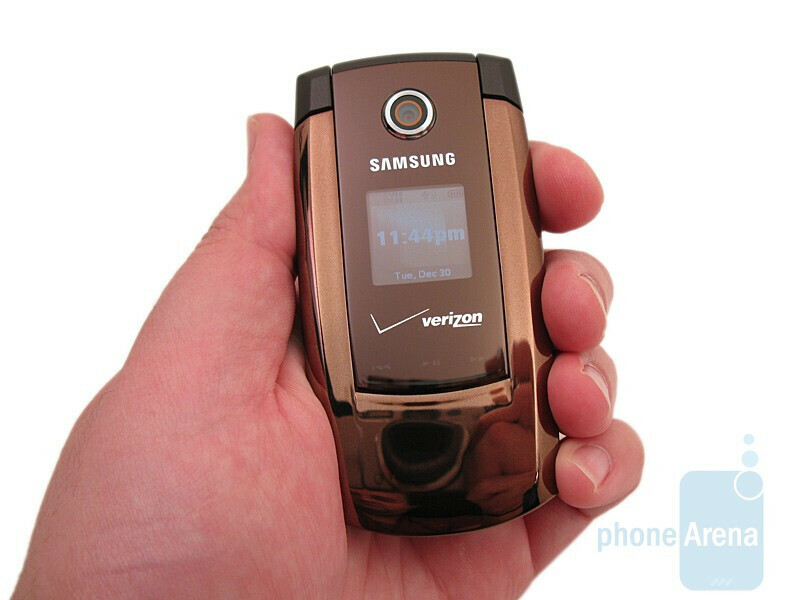 The numeric keys were easy to use for dialing numbers and for typing text message, thanks to their large size and good response.